Divorce Tool Box founder Audrey Silcox, an experienced divorce coach who is also a certified mediator in two state Supreme Courts, will be an exhibitor and one of fifty expert speakers on March 24-25th at The Divorce Expo in Detroit, Michigan. Both her speech and exhibit will provide interactive fun for participants who aim to learn required skills for juggling divorce challenges as they aim to “build a future with no regrets.” In her speech, Ms. Silcox will present five steps for divorcing individuals and couples to be organized and thoroughly prepared before entering the legal arena so that they maintain control throughout the divorce process. Emotions are generally at an all-time high during divorce and concentration becomes difficult. It is important to be organized and prepared before entering the legal arena. Says Silcox, “Because emotions are generally at an all-time high during divorce, and concentration while thinking through a decision becomes difficult at best, it is so important to be organized and thoroughly prepared before entering the legal arena. This is how—while juggling many divorce challenges--you can maintain control throughout the divorce process—which is essential to building a future with no regrets.” In her speech, Silcox will cite examples from her 16 years experience about the enormous differences advance preparation would have made in her clients’ emotional and financial outcomes. The Divorce Expo is being touted as the world’s largest lifestyle event and the first industry-wide event for all professional services concerning separation and divorce for both women and men. Divorce experts will inform and educate attendees who are contemplating divorce as well as those who are already divorced and dealing with post-divorce issues such as co-parenting. Sessions will include topics related to legal, financial, career, health, relationship, and personal well being. Ms. Silcox brings her expertise as a divorce expert from working with the judicial system and in private practice since 1996. Silcox, herself a divorced mother of two teenagers, has worked with divorcing couples as a counselor, coach, divorce educator and mediator. A graduate of Auburn University at Montgomery, Alabama with a Bachelor of Science degree in psychology and a M.Ed. 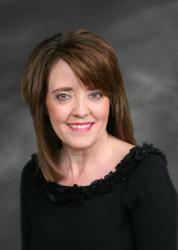 degree in counseling, she is a Certified Divorce and Family mediator with credentials from two state Supreme Courts. Ms. Silcox is the founder of Divorce Tool Box, which helps guide individuals and couples through the emotional and practical considerations of divorce before they incur many hours of legal fees. Silcox acknowledges, “Now as a mother of two teenage daughters, I wish I’d had professional coaching before I went through my own divorce and custody issues. There are certainly some arrangements I would have done differently, and in my work, I’ve certainly seen many examples of the benefits derived from pre-divorce decision-making.” To provide those benefits, Ms. Silcox founded Divorce Tool Box, which offers online and telephone divorce coaching 24/7. The Divorce Expo is produced by Christine McQueen and Joost Allard. This first-annual event is projected to attract more than 8,000 consumers who will learn from top industry experts from across the U.S. in fields such as legal, financial, career, health, relationships, co-parenting, dating, and personal care. The $35 cost of admission for both days includes all seminars, complimentary spa treatments and over 100 exhibits. Tickets can be purchased at The Divorce Expo website or at the door. Audrey Silcox offers her 16-year expertise through her company, Divorce Tool Box, which provides telephone and online divorce coaching for individuals or couples contemplating or currently undergoing divorce. Custody parenting plans, assets and liabilities, division of property, money matters, along with emotional support are some of the issues she addresses in customized, confidential, and convenient phone sessions to help people make wise decisions before they enter the legal arena. This guidance can help ease a difficult process as well as save countless hours and costs in legal fees, not to mention major regrets down the road. Appointments with Ms. Silcox can be made 24 hours a day by phone at (251)639-5788, or online at http://www.DivorceToolBox.com.